Indra Gandhi National Open University (IGNOU) is one of the most reputed open university in India, located at New Delhi. IGNOU is famous for it's Distance Learning MBA program. It was established in 1985 & named after former Prime Minister of India, Indira Gandhi. IGNOU currently serves approximately 3.5 million students in India and 40 countries abroad. 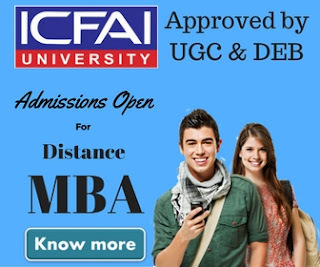 There are many reasons people recommends IGNOU for distance learning MBA program. There are hundreads of reasons you'd love about IGNOU but these 5 are the best among them. Indra Gandhi Open University is worlds largest university in terms of number of students & programs offered. Currently IGNOU is serving more than 3,500,000 students all over the globe. The university offers higher education opportunities particularly to the disadvantaged segments of society.IGNOU hosts the Secretariats of the SAARC Consortium on Open and Distance Learning (SACODiL) and the Global Mega Universities Network (GMUNET) initially supported by UNESCO. Indra Gandhi Open University is not only world's largest university but also has one of the largest network in the world. With 3,500,000 students in India and 40 countries abroad, it has twenty one schools and a network of 59 regional centres, 7 sub-regional centres, 2600 study centres, and 52 overseas centres which makes it the largest university in the world. The distance learning MBA program offered by Indra Gandhi National University (IGNOU) is recognize by All India Council for Technical Education (AICTE). 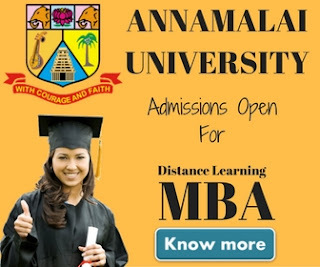 It is also recognize as a central university by UGC & approved by Distance Education Council (DEC), India. The university currently runs 10 programmes in Management. The Management Programme currently consists of 50 courses. In terms of the spread and enrolment, the IGNOU Management Programme is one of the leading management programmes in the world. IGNOU is known as the people's university and that's why they offer each and every program in an affordable fee. The total fee of IGNOU MBA is Rs.21,000/- and there is no maximum or minimum age bar to join this programme.